The TI-84 Plus graphing calculator, which was released in 2004, meets all subject needs, ranging from algebra to calculus and from trigonometry to finance. It features an equation solver editor that solves different variables simultaneously. The eight line x 16 character display screen is of high quality. The TI-84 Plus works well with all the TI tools and applications. A full instruction guidebook is available online for those who aren’t familiar with Texas Instruments calculators. The TI-84 Plus is so popular among students and among fellow product reviewers like this graphing calculator reviews from Calcustar.com. This calculator has twice the speed and three times the memory of most other Texas Instruments devices. It comes with a unit-to-unit cable that will enable it to share data with other TI-84 Plus, TI-83 Plus and TI-83 Plus Silver Edition model calculators. It can also be hooked up to the internet so that the user can download applications, tools and updates. There are many great applications that go well with the TI-84 Plus graphic calculator. 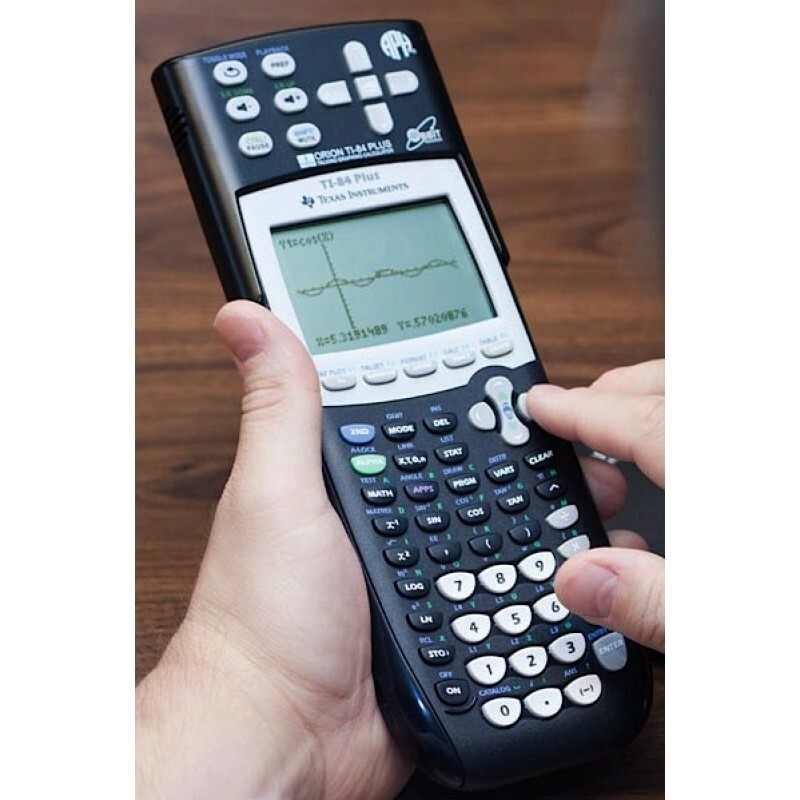 The preloaded applications on a TI-84 Plus include CBL/CBR, Inequality Graphing, Probability Simulation, Conic Graphing, StudyCards, Topics in Algebra, Transformation Graphing, LearningCheck, Science Tools and several business functions for financial math students. The calculator also features the ability to create spreadsheets. Indeed, everyone from high school accounting students to college engineering students will find the TI-84 Plus to be a very helpful device. In addition, the calculator displays tables and graphs on a split screen at the same time, while the graph is traced and the table values are scanned. The TI-84 Plus graphing calculator can be especially helpful during examination time. Students can use it to help them get through the SAT, ACT and college entrance exams. College students will be able to use it to help them in math and science classes. The learning curve is a great asset, as it helps students who normally have trouble in math to understand concepts better. Students can take advantage of the manual guidebook and applications online in order to understand mathematical and scientific concepts better. The TI-84 Plus model comes with a one year warranty. The USB cable is included, although the adapter and face plates are sold separately. TI-84 Plus graphing calculators usually cost around $100 and up new and $65-$80 used when ordered online or in amazon.